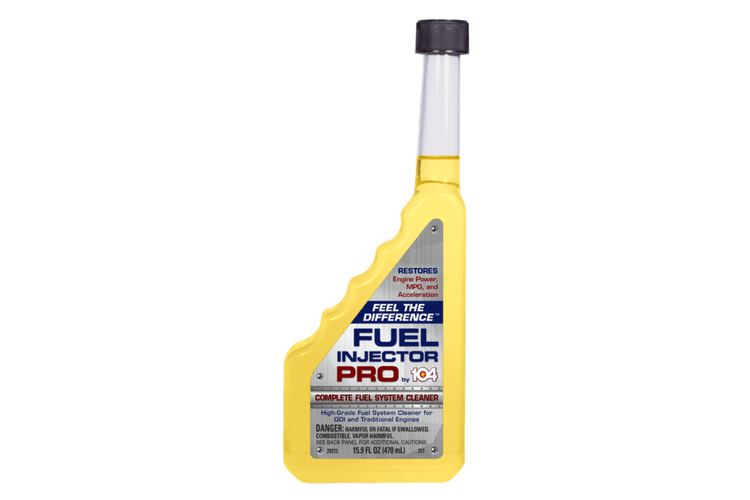 Rated 5 out of 5 by Redd from 104+Fuel Injector Pro - It Really Works Received a 16 oz. bottle in the mail and used it ni my 2014 Kia Soul 1.6 liter engine with 6 spd. standard trans. Vehicle had approx. 13000 miles on it when I filled it with 89 octane Shell gasoline (I always use 89 octane in this car) and 104+ Fuel Injector Pro. Car seemed to have more power and very smooth idle, drove around town and on freeway and got a little better gas mileage. This car has GDI and I was starting to feel a little rough idle, it's gone now. Wish you would market it out here on the west coast (Seattle area) no auto parts stores carry it as of now. I'm going to order some and hope to start seeing it on the shelf out here in future. 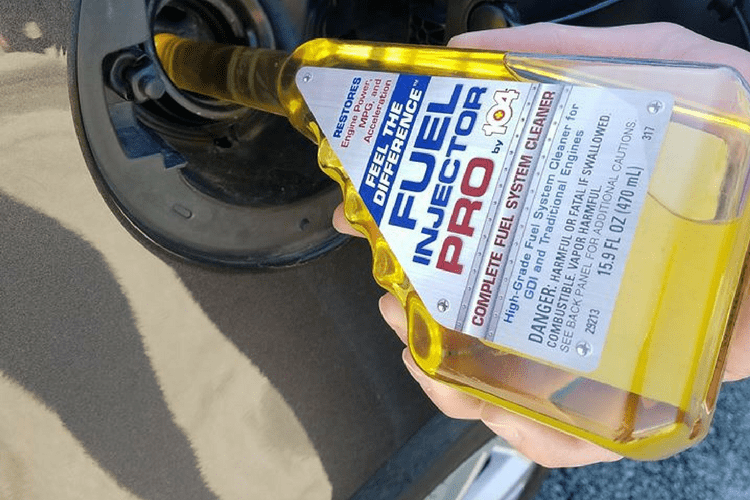 Rated 5 out of 5 by Q2shooter from Can feel the difference I've always been skeptical regarding any product that you add to your fuel that will help your vehicle run better, but 104+ Fuel Injector Pro really does help. In full disclosure I received this for free and normally would not have bought it. I'll be adding a second bottle per the instructions because I can feel a distinct performance difference on a long steep hill that I have to travel during my morning commute. Before the 104+ my truck had just a little bit of a lag when accelerating through a couple of turns on the road but today I realized that it no longer happens and I haven't done anything else to the truck. Rated 4 out of 5 by perryb from It really works! 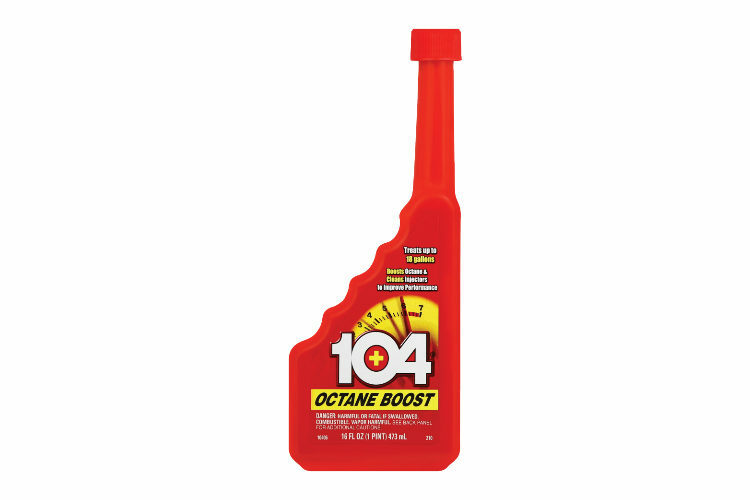 I followed the directions and put a full bottle of 104+ along with a full tank of gas in my 2011 Toyota Highlander. It has 86.320 miles on it. The engine was running a little rough at idle and I definitely have noticed it runs smoother. In addition, my gas mileage has improved albeit modestly ( I got about 2 more miles to the gallon on a 415 mile highway run last week. I set the cruise control like I typically do. I know this can be somewhat subjective and I'm only on my second tank of gas since using this product but the results are encouraging). Rated 5 out of 5 by vette84 from Chevrolet runs smooth My Chevrolet Impala had a engine miss that my mechanic diagnosed as dirty fuel injectors. 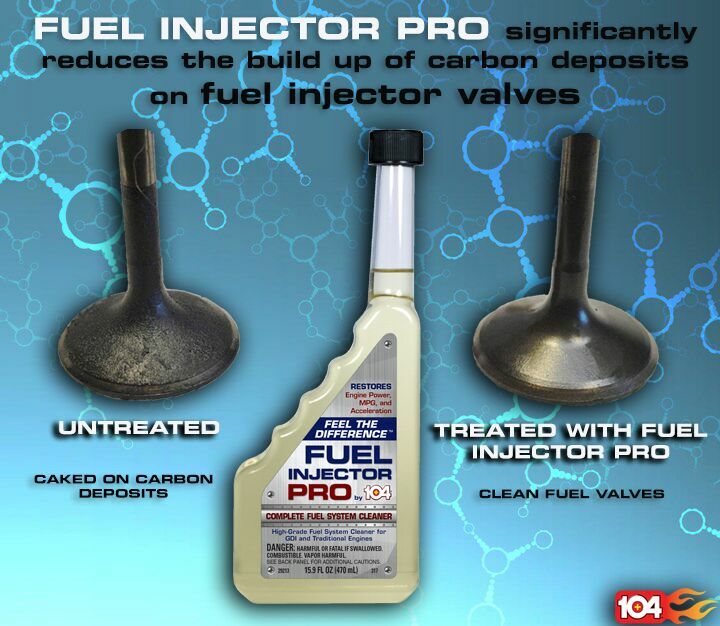 Rather than the expense of replacing the injectors I added the 104+Fuel Injector Pro into the gas tank at a fill up , drove the vehicle for 350 miles, added a second bottle of 104 + Fuel injector Pro and drove another 400 miles and was so happy that the vehicle now runs smooth with no engine miss--Made a believer of me. I will continue to add this amazing product each month in my vehicle. Rated 5 out of 5 by 4DIYers from Extremely Impressed! 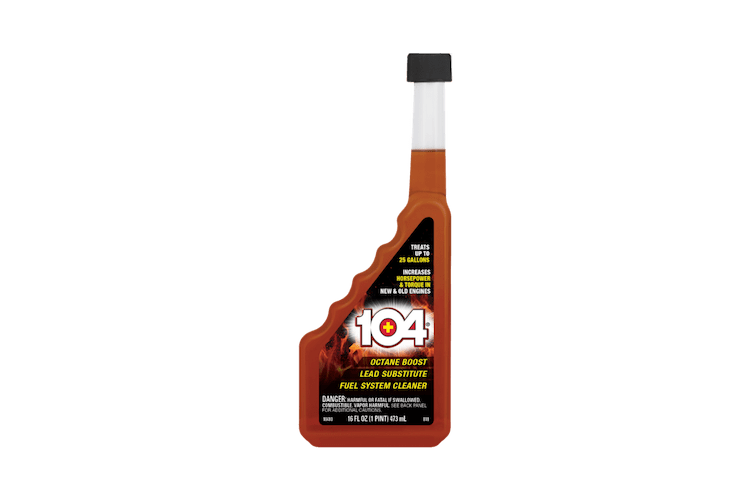 I have used this product on two different vehicles, a 1998 Ford Ranger with lower mileage and a 1997 BMW 540i with higher mileage. The Ford Ranger was driven about 150km in total so far, consisting of short commutes. I have noticed improvements with start up idle, throttle response, and fuel economy. The BMW 540i, was driven about 300km so far which consisted of long distance trips instead. Again I have experienced improvements with throttle response, power band, and fuel economy. 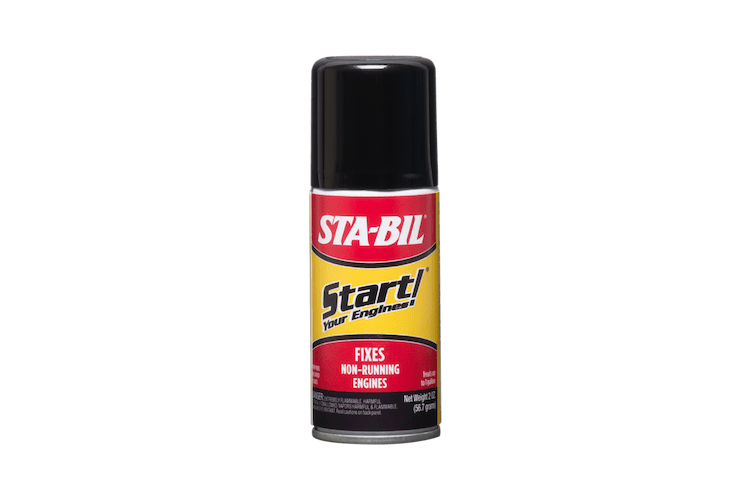 Overall, comparing my experience with other products available on the market, I am extremely happy with this particular cleaner and it's definitely at the top of my list. I also like the bottle design which allows me to push the flap back in the filler neck. 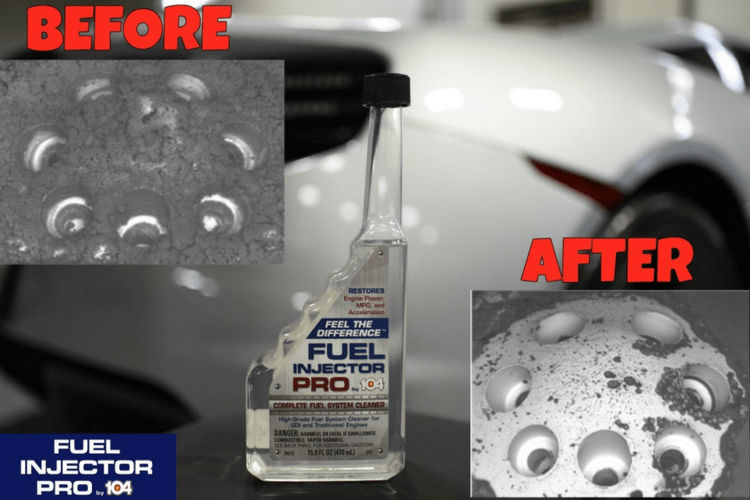 Not all injector cleaners allow for this, so this helps as a user friendly standpoint too. Rated 5 out of 5 by Russtcar from It Lives Up To The Hype !!! I received this product free of charge from Gold Eagle for testing. I put it in the tank of a well maintained port injected 1.8 liter 2006 Toyota Corolla with 75,000 miles on the odometer and expected little, if any improvement. Well I was wrong and very surprised, after the first tankful the idle was smoother both in gear and in neutral, the acceleration really improved (that was the biggest surprise) and I even picked up about 2 or 3 mpg on winter blend 10% ethanol fuel. As per the products instructions I purchased a second bottle and ran it through the full tank. This time the idle smoothed a bit more, the acceleration remained the same, as did the miles per gallons. In summary, this products really worked for me and is worth it's cost. I will be using it at least once per year as a maintenance tool. Well done Gold Eagle !!! Rated 5 out of 5 by BobO from Great stuff - especially with winter blend fuel Great stuff! But.....the design of the bottle top got stuck in my 2017 GM pickup capless fuel filler. 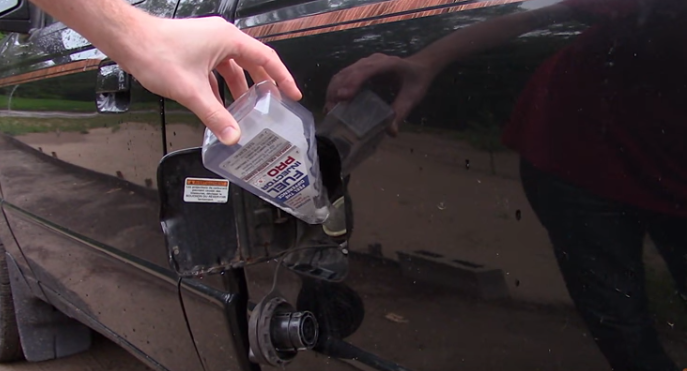 The spring loaded fuel filler cap clamped down on the bottle and I had to pry it out. Kind of embarrassing when fueling at Costco with a bunch of cars stacked up behind you. It took a few minutes to release it. But my engine seems to run smoother on our current winter blend fuel. Rated 5 out of 5 by Buick bud from For my lightly driven car I recently received this product and felt it would be a good choice to try in my lightly driven 2nd/ third car. It had had a slight unsteady idle while at traffic lights. I added this with refill of regular gas. I have noticed a improved idle so far. With added driving I expect the idle to be smooth. Car currently has 181572 miles on it.